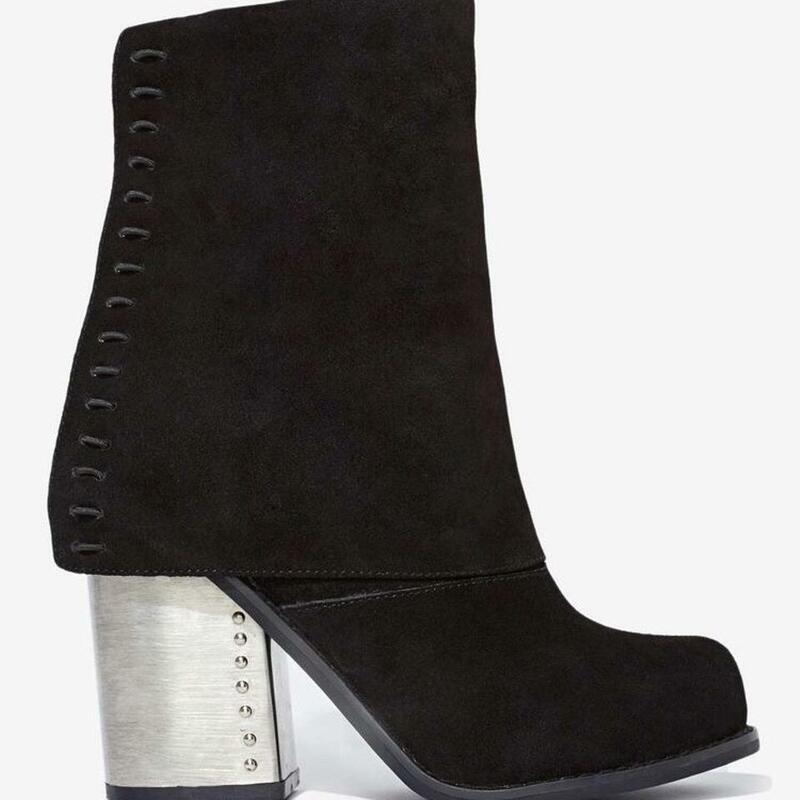 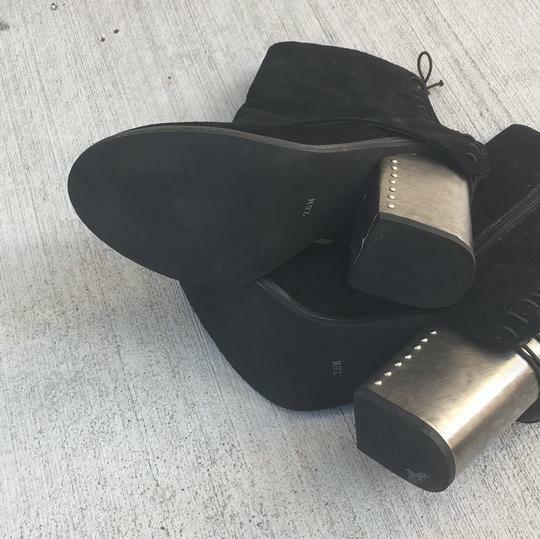 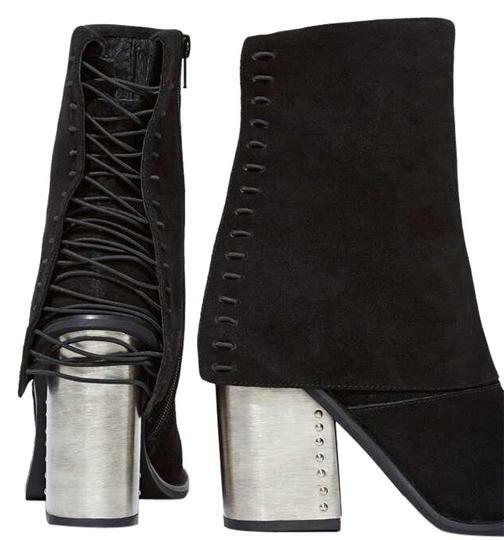 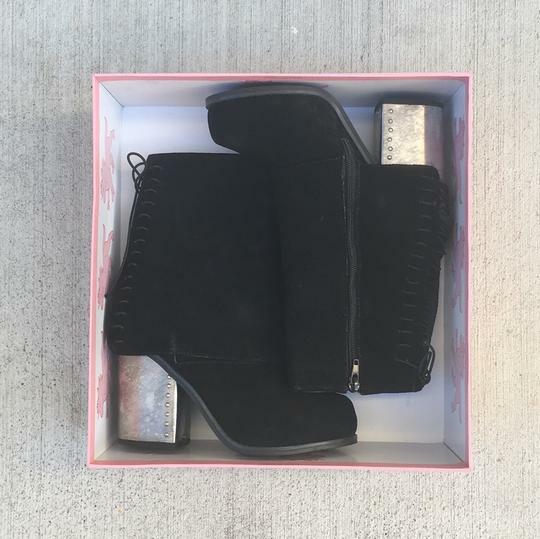 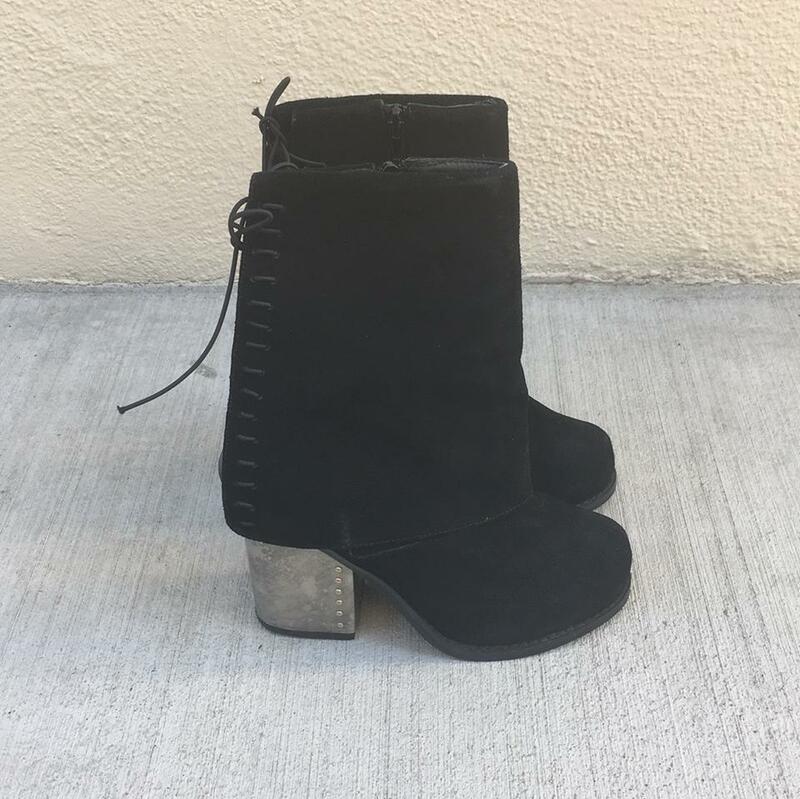 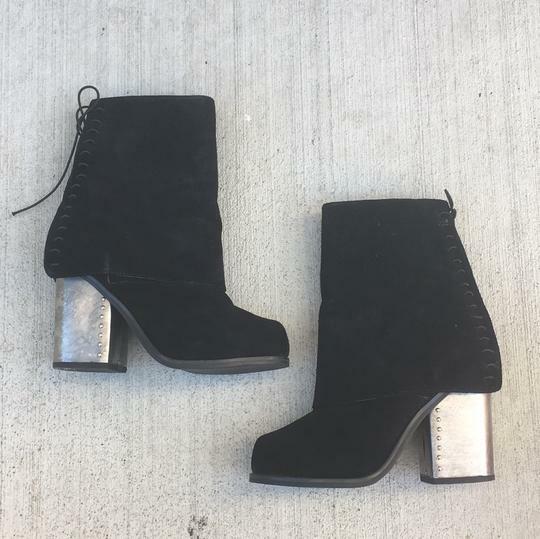 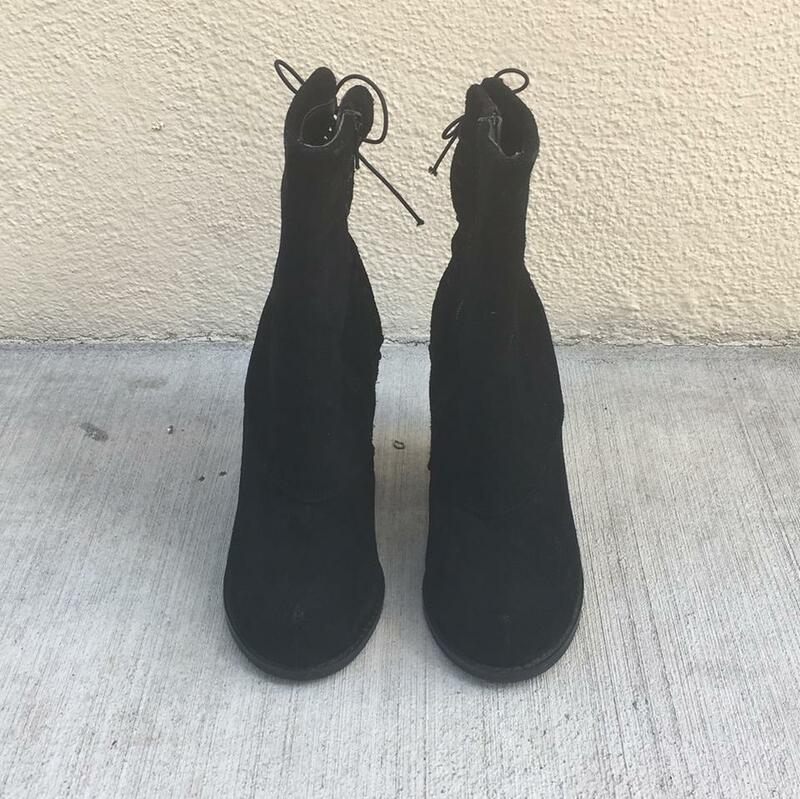 Jeffrey Campbell “Gryme” booties, black suede leather, chunky silver stainless steel heel, corset tie back, side zip closure, size 7.5M. 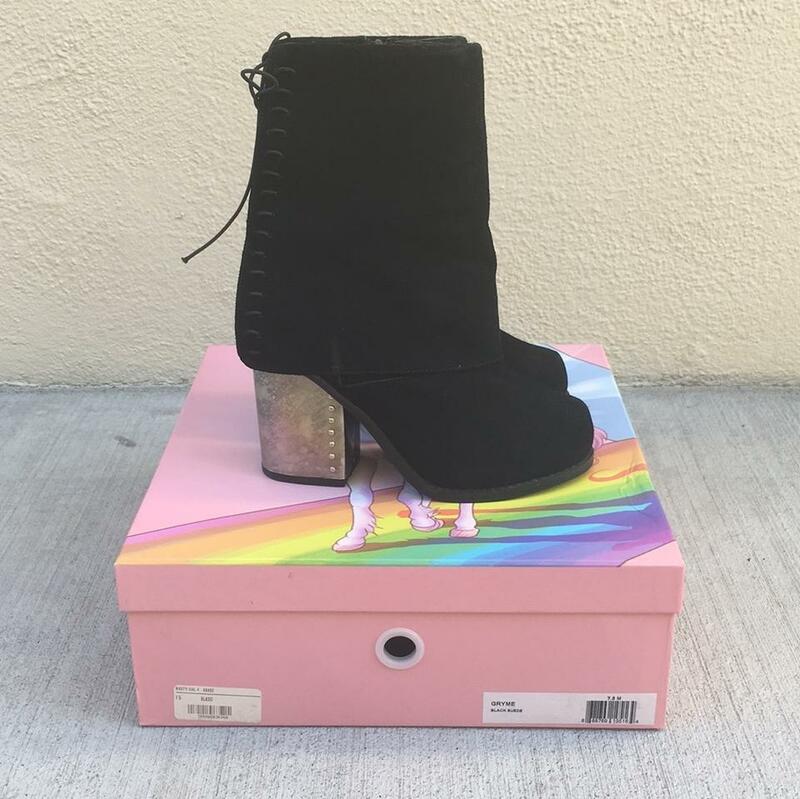 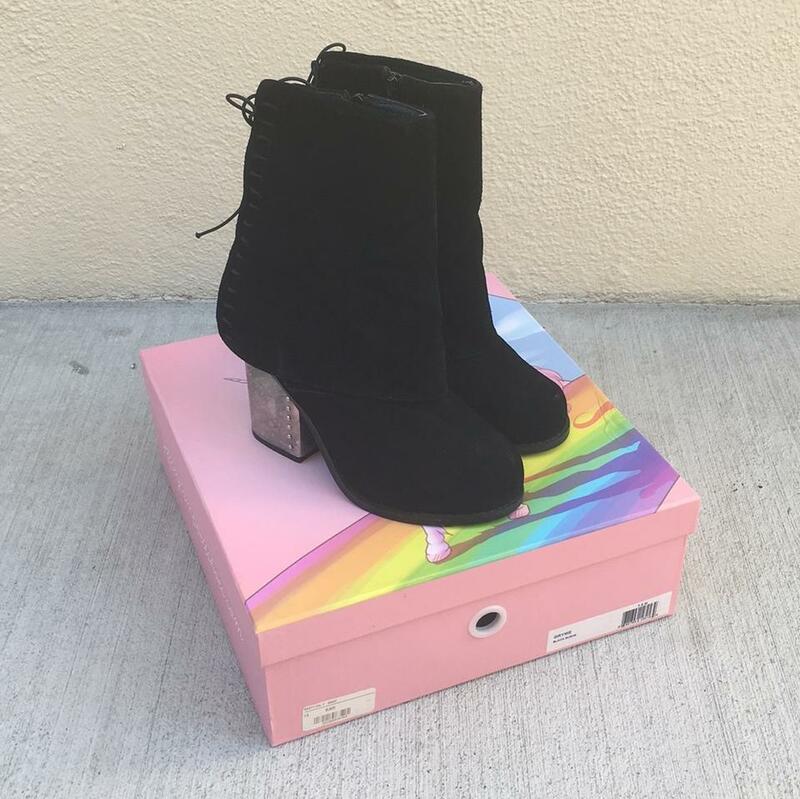 Purchased from Nasty Gal, sold out, only worn a couple of times because they are a half size too small for me, good condition; minor signs of wear, includes original box. 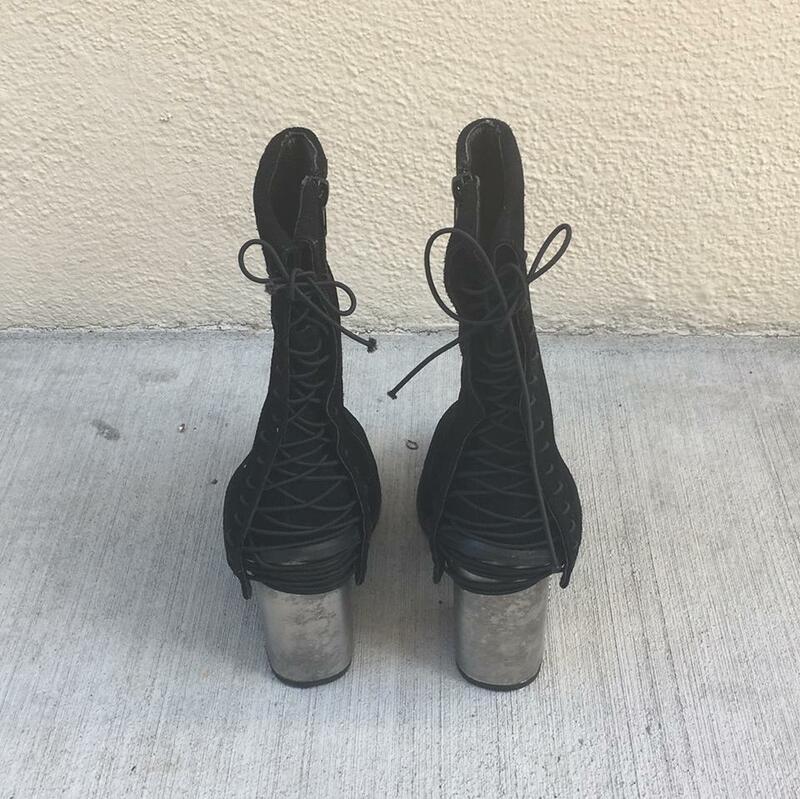 FA Listed by: Fallon A.